You can take the train from either Poroy or Ollantaytambo Station (depending on the service) and get of at the short stop the train makes at Km 104. Here you can cross the Urubamba River and pass the check point. From here it is only a short walk to the ruins of Chachabamba. These ruins, discovered in 1940, are located on the old Inca road that ran along the southern bank of the Urubamba River. The style of buildings and stonework suggest that this used to be an important religious site, as well as having the secondary function as a gate house guarding this entrance to Machu Picchu. After the ruins the climb starts; you will leave the forest and change this for open grasslands. From here you will be climbing for about 2-3 hours before you reach a nice waterfall. From the waterfall it is another 25-30 minutes to the ruins of Winay Wayna and where the 2 day Inca Trail meets the 4 day Inca Trail. The ruins of Winay Wayna are quite impressive and worth to spend some time in. The ruins comprise magnificent agricultural terraces set in an impressive location. There are also many buildings of good quality stonework and a sequence of 10 baths, suggesting that the site was probably a religious center associated with the worship of water. From here you will continue another 1.5-2 hours walking until you get to the Sun Gate, the official and ancient entrance for Machu Picchu itself. You will have some time to take pictures and maybe discover this side of the ruins; don’t forget to climb Machu Picchu Mountain for even more amazing views. After this you can head down to Aguas Calientes and your hotel. Click here for a list of our favorite hotels and hostels. Today you will have a complete day at the site of Machu Picchu. Take the early bus up in the morning with your guide and enjoy the sunrise over Machu Picchu. The guide will give you a concise tour of about 2 hours after which you will have free time at the site. 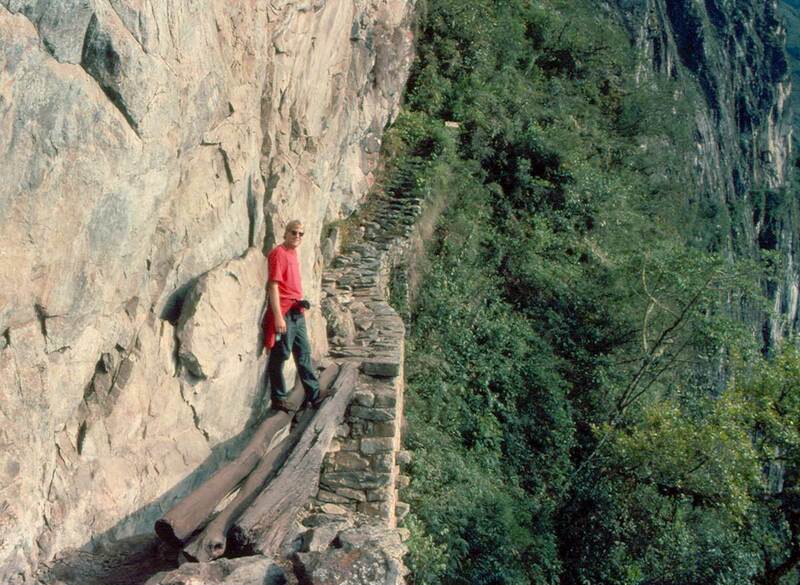 Many people use this day to discover the Urban Sector of Machu Picchu and climb Huayna Picchu. For more information about what to see and do in Machu Picchu, please click here. If you would be interested in climbing Huayna Picchu, please read the new rules regarding Huayna Picchu. In the afternoon you can go back down to Aguas Calientes (Machu Picchu Pueblo) for your afternoon train back to Cusco.